Frederic Sage is not your typical designer. Although he graduated with a degree in the sciences, Frederic later realized his true interests and passion were in design and color. He decided to continue his education by studying Art History and Textile Design at the Fashion Institute of Technology in New York City. It was there that Frederic Sage was given the opportunity to design for a leading textile manufacturer. With a fresh and unique look, and an “eye” for color, Frederic, a perfectionist, created designs that were distributed not only in America, but also in Europe and other international communities. During that time, he traveled to more than fifty countries all over the world, and lived in cities such as Barcelona, Lisbon, Paris and Milan. 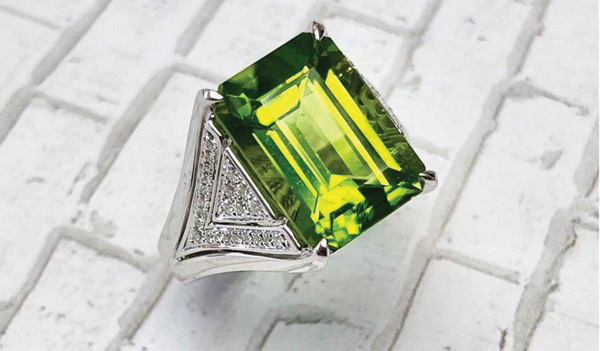 Eventually, with guidance from his father, who as an importer of precious gems had given him firsthand knowledge and experiences with fine gems, Frederic was able to change paths and pursue his childhood dream of designing and creating fine jewelry.